This was my go to charger when I went to Europe. It worked perfect.y! I was able to charge my iPhone and iPad at the same time. Worked well for hairdryer and flat iron, making sure that appliances were ok to use in both countries. Easy to use and small/light to carry. Love it. I bought this adapter prior to going on a six country tour of Europe and I couldn't have been more pleased! It is a great product, easy to use, extremely functional and I highly recommend it. I have used this in multiple international & continental locations with superb success. I also have the Mac adaptor. I do not travel overnite or longer without this device. Recently loaned it to a friend traveling to SE Asia and he love it! Love it. I can uses multiple ports at the same time! So easy and uncomplicated! My other converters fall out of sockets and I have to balance them with other objects to maintain flow of electricity. It’s great not having to carry a small bag full of assorted adapter plugs, and the USB port is wonderful. We used this on our recent trip to England, Czech Republic and Austria. It did the job. Just came home from Safari in Kenya, Tanzania, and Rwanda. Thirty days of VERY limited power. When power was available I could charge 2 phones and a camera battery easily! Work well! Some adapters would not go in because of the outlets on Tanzania had a center “lump” on most plugs. I had no problems. Several other safari members took the name and plan to purchase when they get home! Great useful item. After buying several other adapters only to find them too heavy, too many pieces that were lost, and those that broke in transit; This is a pleasant discovery, Sturdy, not too large and easy to pack, all the international connections one needs...what more could you ask. 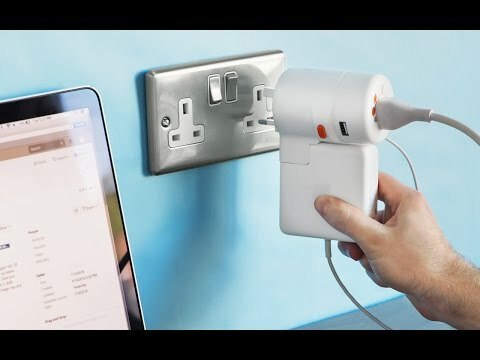 Oh and the USB connections are an added plus. Recommend this product. I’ve used in South America, Europe, Middle East, >12 countries and counting. 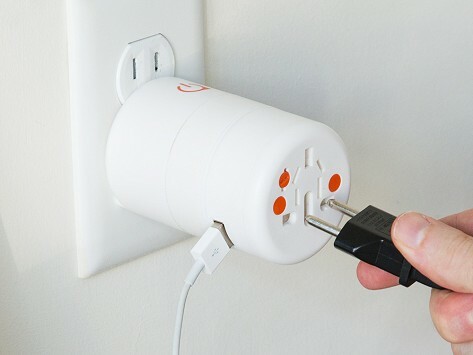 We have used many styles and adapters in our travels around the world, but this one is the best! It is easy to use, compact, and fool-proof.